Based on its victories in the 2011 state election, DAP is confident of capturing the Miri seat from SUPP, but its efforts may be hampered by the internal crisis over the candidacy. The sacking of six DAP members in Miri last week for openly protesting against the party leadership’s nomination of Lim Su Kien as the DAP candidate for Miri is certain to have extensive repercussions in the coming general election. Are Sibu DAP leaders getting arrogant? These leaders are reminded on how SUPP leaders were rejected in the state polls last year due to their arrogance and cockiness. Buoyed by their historic victory in last year’s state election, are the DAP leaders in Sarawak getting cocky and arrogant? But while Anwar is under pressure in court, it’s the government, and in particular the UMNO party at its heart, that is struggling, and not just with election results. Even in a country with a largely compliant mainstream press (but a vibrant alternative media), the government and the country’s other key institutions have found themselves mired in scandal. Barisan Nasional’s loss in the Sibu parliamentary by-election yesterday is a clear message that Sarawak’s Chinese voters feel that it is time for Chief Minister Abdul Taib Mahmud (right ) to go, said Monash University political analyst Professor James Chin. He says this is among the three lessons to be learnt from the Sibu contest. “First of all, the majority of Chinese voters are sending a clear message to Taib that he must go. I think they felt Taib has overstayed in holding the post of (Sarawak) Chief Minister,” he said. Sibu has voted for the politics of hope over the politics of fear and greed. All Sarawakians ought to applaud these courageous voters. PM Najib Razak made three flying visits to Sibu, desperate for a BN win, but he was taken aback when the May 16 Sibu by-election did not exactly go according to plan. We may now challenge some of Najib’s assumptions. Which political coalition – Barisan Nasional or Pakatan Rakyat – is more likely to fulfill the wishes of the Sibu people, if given the chance to run the federal government and the Sarawak state government? Will the SUPP ever speak up for our religious freedom? The Sarawak United People’s Party (SUPP) and the state Barisan Nasional (BN) have failed at every turn to speak out for Sarawakians, against suppression of religious freedom. When the UMNO home minister Syed Hamid Albar banned the use of the word “Allah” in the Catholic Herald, he must have had the support of UMNO. When the UMNO home minister Hishammuddin Hussein allowed the seizure and retention of 15,000 Christian bibles containing the word “Allah”, he must have enjoyed the approval of his party. What is your vote worth? “’Any money YB?’ a voter asked me, as I asked him to vote for me. He said BN promised RM200 for his vote,” Wong Ho Leng, state assembly representative for Bukit Assek and the underdog DAP candidate for the Sibu parliamentary by-election, posted on Twitter on May 10. Offers of vote-buying, Wong concluded, are not in the realm of rumour. Wong’s allegation is nothing new. Every poll in Sarawak in living memory – state, parliamentary or by-election – has been dogged by reports of vote-buying. THE Sarawak United People’s Party (SUPP), Sarawak’s oldest political party, knows that it would be in real political hot “supp” (soup) if it loses in the coming by-election in Sibu. The PM who recently received a slap in the face by the Chinese community in Hulu Selangor will have to turn the other cheek if the Chinese who are the majority in the Sibu constituency fail to support SUPP. This helps to explain why the second coming of Najib (to Sibu) which just took place was so necessary. Is SUPP united to face by-election? Is the Sarawak United People’s Party really united to face the 54,695 voters, 67% of whom are Chinese in the Sibu by-election? But many regard, however, that the party is ill-prepared for the by-election as the untimely death of MP for Sibu Robert Lau Hoi Chew on April 9 caught the party leadership in the midst of internal bickering and infighting. As battle lines are drawn for the Sibu parliamentary by-election on May 16, it goes without saying that this will certainly be a closely-watched event. 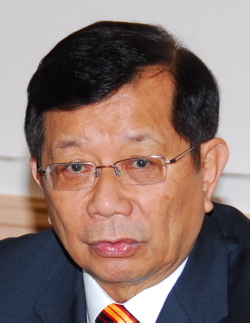 Sarawak DAP chairman Richard Wong Ho Leng’s fight with newcomer and greenhorn Robert Lau Hui Yew of SUPP to wrest the seat will not just generate great interest among the public, but that of political pundits and operatives, as well. “In our struggle, we need to be united. Even though we are far from each other, we’re still in Sarawak… I hope we, the indigenous peoples, can stand united in dealing with our problems. Even if we meet in prison, we will have to fight this together,” said Gara Jalong, chief of a Kenyah village Long Lawen, near the Bakun dam. Barely days after the heated by-election of Hulu Selangor, and Barisan Nasional and Pakatan Rakyat are gearing up to lock horns again, this time over the Sibu parliamentary by-election. Although the official campaigning period only starts in 10 days, neither side is taking any chances. Voters in Bandar Sibu’s May 16 by-election are less likely to be concerned about the ethnic and religious fault-lines that have shaken peninsular politics over the past 40 years, than about issues of material development and livelihood. The by-election machine of BN switched on right on the day (April 9th) the incumbent five term MP of Sibu, Robert Lau, passed away after a long battle with cancer at the age of 66. Already waiting in the wing was his replacement, 45-year-old Robert Lau Hui Yew . He is actually the cousin (not the son, as some might assume), of the late deputy transport minister. After having lost Hulu Selangor by a narrow margin, the parliamentary by-election for the Sibu seat looms as a test of Pakatan Rakyat’s ability to mount a coordinated campaign, something that was said to have eluded them in the earlier poll. The parliamentary by-election on May 16 in Sibu is expected to be a close contest, a straight fight between BN and Pakatan Rakyat. We may witness the usual fistful of ‘independent’ candidates, perhaps even one from the oddly named Parti Cinta Malaysia, on nomination day May 8. Some independents will of course be hoping to cash in by being spoilers, but these are unlikely to affect the outcome. On the eve of polling in the March 8 2008 general election, a close friend enquired whether Anwar Ibrahim could be trusted or not, given his chameleon-like political career that saw him change his affinity in rather dramatic ways several times. This question about Anwar Ibrahim’s trustworthiness has become all the more topical now that he is scheduled to come back to our Malaysian political arena on full steam next week. Even before the general election, there was widespread mistrust for Anwar Ibrahim among the Chinese electorate, because of his perceived sins committed against Chinese education during his tenure as Education Minister. One could argue that, as Education Minister, Anwar Ibrahim was implementing the education policy of UMNO, but that would still not diminish the burden of his rather huge political baggage. The Chinese community has always had ambiguous feelings for Anwar, even from the early days when he was involved with ABIM as a young radical Islamic activist. His Islamic credentials may have been an asset for his career, first in UMNO, then as an ally of PAS when he was banished to the political wilderness ten years ago. But for many Chinese who suffer from Islam phobia, Anwar Ibrahim is often perceived by many as a mildly threatening enigma. In the ten-year existence of PKR, right up to the time of the general election last month, I was constantly bombarded with the question of whether Anwar Ibrahim would return to UMNO, just like Ku Li did in the 90s after fighting UMNO in vain with Semangat 46 as his political vehicle. UMNO victory in Bagan Pinang – what now? As expected, BN candidate Isa Samad of UMNO defeated Zulkefly Mohamad Nor by a thumping majority of over 5000 votes, with a 2920 postal vote majority contributing to the BN victory. I have expected this result from the way the campaign has been conducted all along. Isa Samad is the local favourite. He was MB for Negeri Sembilan for 22 years, and he must have built up a vast network of social contacts and political patronage. Many locals of various races must have felt indebted to him personally. “In Bagan Pinang, the opposition is so disorganised. There are allegations that Kuala Lumpur has taken over the Bagan Pinang election campaign while the locals from Negeri Sembilan are being sidelined. It was not until the fourth day after Nomination Day when PAS invited the other component members from Pakatan Rakyat for a meeting. In the end, PAS did their own thing while PKR and DAP, who were left out in the cold, organised their own programmes independent of PAS. PAS did not even arrange for the Wakil Rakyat from PKR and DAP to speak at the ceramah. The biggest winner of the MCA EGM is ………………DAP! When the voting results came out in the afternoon of October 10 (Saturday), I was in the neighbourhood coffee shop with my neighbour Jimmy. Jimmy is a retired teacher from Penang. Though his son-in-law is the treasurer of a local MCA branch, he is himself non-partisan. But like many Malaysian Chinese, he hates pandemic corruption in high places. When he learned that the MCA EGM had carried the motion of no-confidence against Ong Tee Kiat as party President, he was very upset. He said he had no goodwill towards the MCA, but he has tremendous respect for Ong because of his work in unearthing the massive abuse of funds in the PKFZ. He said Ong is the only MCA leader who could reform the party and the government for the good of the people. He was thinking of joining MCA to help Ong, but now the delegates’ rejection of Ong means there is no chance of salvation for the MCA. I narrate this little story because I suspect many of the non-partisan Chinese probably share Jimmy’s view. October 10: MCA’s day of reckoning — does anybody care? In a few days’ time, on October 10 next Saturday to be exact, MCA will be confronting their day of reckoning. 2377 central delegates will be casting their crucial votes, to determine whether Ong Tee Kiat or Chua Soi Lek will have to go. The mainstream and alternative media have been saturated with news of the campaign for weeks, giving blow-by-blow and state-by-state reports of how the campaign has been shaping up on both sides. The latest revelation by the commentator and long time MCA member Ho Chee Ping is that the offer for one vote has gone up from a few thousand to tens of thousand of the Ringgit. Ho should know, because he is a loyal MCA member and has witnessed more than a few MCA internal fights. The Malaysian government is thinking of doing away with the category of “race” in all official forms. I have been filling those forms all my life and I have always hated that particular category. When the forms do not really matter, I just fill in “human” for my race. But removing the category “race” from forms will not begin to eradicate racism that is so entrenched and institutionalised in Malaysian national life. It has its deepest roots in party politics. 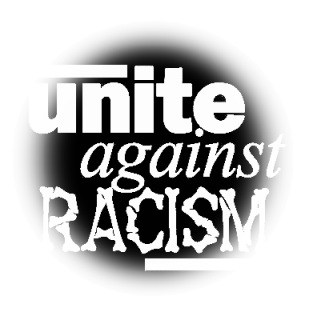 As long as political parties find that racist sentiments are the most effective tool in mass mobilisation of populist support, racism will continue to colour all our daily judgements. When the DAP Kuching Branch was first established in 1978, the party was a new kid on the block. For many years before that, the SUPP was seen to be the sole representative of the Chinese in Sarawak. The most effective tactic of the SUPP in demonising the DAP at that time was to call the DAP as a traitor to the Chinese race, out to divide the Chinese community, and to destroy Chinese unity. The SUPP needed the united support of all the Chinese, in order to negotiate and compromise with other race-based party. The MCA used the same tactic against the Peninsular DAP and they were quite successful at that time. Datuk Zaid Ibrahim’s (right) entry into PKR has given a boost to the opposition party. The reform minded moderate had been wooed by both PKR and DAP even before he resigned from the BN government in September last year over the use of ISA on civilians. Zaid was subsequently booted out by Umno for his presence at opposition functions. 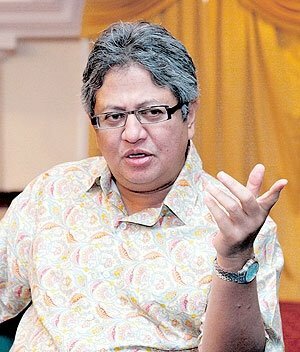 Well respected by both PAS and DAP, Zaid is expected to play a role in strengthening ties between the three Pakatan Rakyat parties. I was a little taken aback when a close and respected friend complimented me on my courage in my writing. I was surprised, because much as I searched within myself, I felt no courage in me when taking on the most contentious issues and the most powerful politicians of the land. Then I realise why I don’t feel brave at all. I don’t have to be brave because I feel no fear, as long as I am careful and fair. That does not mean I am such a fearless hero. I too have my phobias. Being broke is my greatest fear that has pursued me in my entire life. 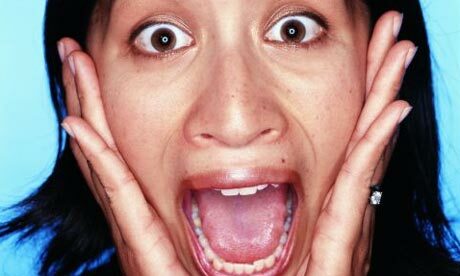 My other fear is dying slowly a long, debilitating, and painful death, while being broke! SKY Counters George Chan – on a lazy Malaysian Sunday! The public political conversation in Sarawak can only be described as primitive at best. How I know it! I was engaged in frontline politics for nearly 20 years in Bandar Kuching, trying to elevate the level of political narrative in my home state. It was near impossible, because the media was all closed, and the weight of the Internet had yet to be felt. Thanks to the Internet, I can read the Borneo Post online everyday these days. Living in Cheras on the edge of Kuala Lumpur as I do, it is my way of touching base with my home state, so to speak.